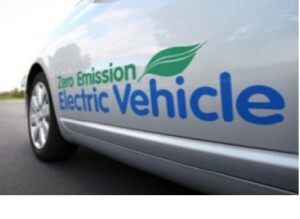 ZEV credits: The California Air Resources Board may plan this week for the state’s emissions targets to remain largely unchanged through 2025 and then jump after that year, according to three people familiar with the proceedings. This will disappoint Tesla CEO Elon Musk and environmental groups that have called for expansion of the zero emission vehicle incentives. Tesla sold 80,227 credits during the 11 months through August, which accounted for 86% of the total. And even at prices below what Musk wants, the sales helped Tesla report a profit in the third quarter after having sold $139 million worth of ZEV credits during that quarter. CARB is reassessing its targets as part of the so-called mid-term review of President Barack Obama’s fuel-economy and emissions goals for 2025. Longest range ever: Henrik Fisker is striving to earn the bragging rights on plug-in electric vehicle performance. The head of the Fisker Inc. startup on Monday claimed that the all-electric luxury sedan to be released next year, called EMotion, will be able to travel 400 miles on a single charge, reach a top speed of 161 mph, and it will come equipped with hardware allowing for fully autonomous driving. The company said it will announce its self-driving car technology supplier “soon” without providing further details. Renewable diesel: San Diego is becoming the largest fleet in the nation to use renewable diesel, with 1,125 diesel vehicles using the clean fuel, including street sweepers, refuse packers, and firetrucks. Doing so will release 80-percent fewer emissions than traditional diesel, according to state officials. That helps the city meet its goal of cutting greenhouse-gas emissions in half by 2035 under its Climate Action Plan, which was adopted in December. The city’s fleet was at first reviewing the option of converting vehicles over from diesel to compressed natural gas, but discovered renewable diesel to be cheaper and much cleaner in reducing emissions. The city doesn’t have to invest in conversion to start using the renewable diesel. 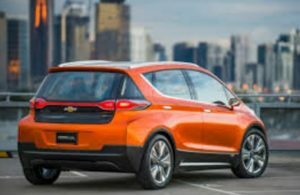 Bolt production: In May, General Motors had stated the all-electric Chevy Bolt would start production in October, but then pulled the document off its website and wouldn’t comment on it anymore. There’s only been a rumor shared on Twitter so far; that source said that the production line at the Orion assembly plant has officially started. It was posted by the WaterlooRegionVoltec group of Waterloo Region, Ontario, Canada. Tesla supporters cult members: Lutz on Ex-vice chairman of General Motors and champion of the Chevy Bolt, Bob Lutz, shared another zinger on Tesla Motors and its CEO, Elon Musk. “Tesla supporters are like members of a religious cult,” Lutz said during an interview with CNBC last week. “Just like Steve Jobs was worshiped at Apple, it’s the same way with Elon Musk … seen as a new visionary god who promises this phantasmagorical future, a utopia of profitability and volume.” Watch the video to hear more. Health and climate study: The health impact of air pollution has become a widely cited source for implementing emissions reductions rules for transportation. Another study has been released tracking the damage. A new report from the American Lung Association of California states that vehicles are responsible for $37 billion in health and climate costs each year. The study tracked California, Connecticut, Maine, Maryland, Massachusetts, New Jersey, New York, Oregon, Rhode Island, and Vermont—the 10 states that have zero emission vehicle sales programs. Wind and solar: International Energy Agency reported that renewable energy that last year marked a turning point for renewables. Led by wind and solar, renewables represented more than half the new power capacity around the world, reaching a record 153 Gigawatt (GW), 15% more than the previous year, and surpassing coal power. Renewables are also expected to be the fastest-growing source of electricity generation over the next five years, increasing market share from 23% in 2015 to 28% in 2021. 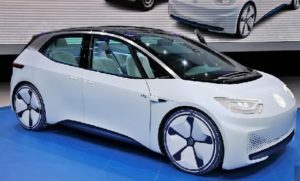 Wheego goes autonomous: Previously known as Wheego Electric Cars, the revamped company now known as Wheego Technologies no longer manufactures electric cars. It considers itself to be an R&D company, supplying its electric drive and autonomous driving systems. After starting in 2009, the company sold about 400 units through its network of dealers, but it’s been nearly three years since any have been built. The company now is focused on developing products for autonomous vehicles that use machine learning and artificial intelligence. It has two divisions with about a dozen employees each, and was recently granted a permit to test autonomous vehicles in California. Chicago electric buses: Electric bus maker Proterra just won a large contract in Chicago. JLL, a leading professional services firm specializing in real estate, announced the first commercial agreement to provide commuter shuttle services via a fleet of electric buses. The service will operate between Chicago’s commuter train stations and two of the city’s tallest buildings, the Prudential Plaza and Aon Center, both of which are managed by JLL. Proterra has leased 10 Catalyst electric shuttle buses to JLL. Flying car ride-hailing: Uber has conducted a report on what it calls Uber Elevate, which may become the name of its division providing riders with flying car trips. Along with Otto, the self-driving trucking unit, and the Pittsburgh autonomous car rides, Uber says it wants to find a manufacturer of flying cars to partner with and build an on-demand urban aviation system. Uber is talking to flying car startup makers Aero, Joby Aviation, eHang, and Terrafugia, and others about working together; though it will be several years from now until you’ll get to book a trip on your smartphone. Apple backs off: Apple Inc. has dramatically scaled back Project Titan, with a new business plan based on partnering with automakers rather than becoming one. Apple has made hundreds of job cuts and reassignments and has taken a new direction, according to people familiar with the project. 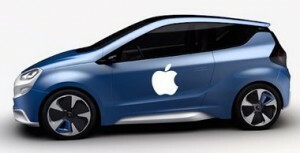 Apple seems to be taking a similar approach as Google; Apple will be focusing on developing an autonomous (and, most likely, electric) driving system that gives the company flexibility to partner with existing carmakers or to go back to designing its own car in the future, sources said. California rebates revised: California’s Clean Vehicle Rebate Project (CVRP) is implementing increased incentive levels for lower-income consumers and new high-income eligibility caps, according to a release yesterday by the Center for Sustainable Energy. 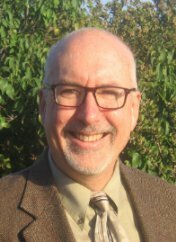 Following a public workshop held Sept. 30, the California Air Resources Board issued the program updates, as directed by a legislative act. They will apply statewide to consumers who purchase or lease rebate-eligible vehicles effective Nov. 1, 2016, providing lower-income consumers an additional $500. Rebates vary by vehicle type. 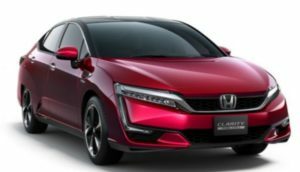 For the average consumer, they are $2,500 for battery electric vehicles (BEVs), $1,500 for plug-in hybrid electric vehicles (PHEVs) and $5,000 for fuel cell vehicles. For lower-income consumers, CVRP rebates for all types of eligible light-duty passenger vehicles are increasing by an additional $500 for a total of $2,000 more per rebate ($4,500 for BEVs, $3,500 for PHEVs, and $7,000 for fuel cell vehicles). When combined with the maximum federal tax credit for eligible vehicles, the increased rebates provide savings of up to $12,000 for BEVs, $11,000 for PHEVs and $15,000 for fuel cell vehicles. See the press release for more details. NextEV opens office: Chinese electric-car startup NextEV opened an office last week in Silicon Valley at a well-attended event. Founder William Li, a Chinese entrepreneur who created online car sales company Bitauto, has plans to build a series of electric and autonomous cars that that will at first be sold in China and then to consumers around the world. Li recruited former Cisco CTO, Padmasree Warrior, to lead his U.S. division. At the event, Warrior described the company’s mission is “to change transportation.” NextEV also has entered the Formula E electric racing series and has its own racing team. For the 2015/16 season, NextEV is registered as one of eight manufacturers in the series and is racing with a self-designed powertrain. The NextEV Formula E Team is also set for the 2016/17 season. Gauging trucking fuel economy rules: The University of Michigan’s Transportation Research Institute conducted a survey with 96 heavy-duty fleet managers who operate a combined total of just over 114,500 truck-tractors and approximately 350,000 trailers. Biodiesel blends (B5, B10, and B20) have been the most common alternative fuels in use, according to the survey. Fuel-saving technologies have played a big part in fleets getting closer to meeting federal fuel economy and emissions rules, with the most common fuel-saving technologies on truck-tractors being aluminum wheels, speed limiters, and low-rolling resistance dual tires. As for using alternative fuels, fleet managers appreciate lowering operating costs, reducing emissions, and availability of alternative fuels. Solar partnership: Tesla and Panasonic have entered into a non-binding letter of intent to collaborate on manufacturing and production of photovoltaic (PV) cells and modules in Buffalo, N.Y. The agreement is contingent upon shareholders’ approval of Tesla’s acquisition of SolarCity next month. Tesla will use the cells and modules in a solar energy system that will work seamlessly with Powerwall and Powerpack, Tesla’s energy storage products. With the aid of installation, sales and financing capabilities from SolarCity, Tesla will “bring an integrated sustainable energy solution to residential, commercial, and grid-scale customers,” according to the Tesla blog. 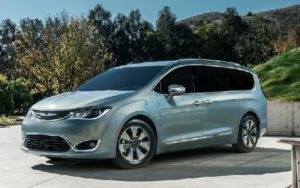 Maven comes to SF: General Motors is bringing its Maven car-sharing program to San Francisco, the ninth city in the network. Maven, which debuted in January, is already available in Ann Arbor, Mich., Baltimore, Boston, Chicago, Detroit, Los Angeles, New York City, and Washington, D.C. San Francisco has been a hub for carsharing and ridesharing, with several companies starting up there and setting up headquarters. Maven will compete with Zipcar, Evercar, Getaround, Turo, and City CarShare. Maven customers can rent GM models such as the Chevrolet Volt, Chevrolet Malibu, and Chevrolet Cruze, as well as luxury Cadillac models like the Escalade, and eventually, the Chevrolet Bolt. 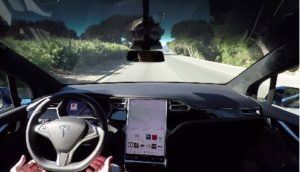 Warning on Autopilot: Germany’s Federal Motor Transport Authority (KBA) had written to Tesla asking the electric automaker to stop advertising its vehicles as having an Autopilot function because this might suggest drivers’ attention is not needed. On Friday the KBA wrote to Tesla car owners, warning them that their vehicles could not be operated without their constant attention and that under traffic regulations they must remain alert. RNG and NZE in refuse: Renewable natural gas from waste resources and near-zero emission engines are revolutionizing clean refuse collection operations. On Tuesday, Oct. 25 at 10:00 a.m. PDT, Southern California Gas Company is hosting a one-hour webinar to learn about technology and implementation options for low-carbon, near-zero tailpipe emission refuse fleets. Topics covered will include: How the combination of ultra-low NOx natural gas engines and renewable natural gas technologies can help meet state emission targets; resources available to analyze the cost and emission benefits of renewable natural gas and a near-zero-emission engine project (“RNG+NZE”) for your refuse operations. Click here to register. Renewable energy increasing: Carbon-dioxide (CO2) emissions from electricity generation during the first six months of 2016 were the lowest since 1991, according to the U.S. Energy Information Administration (EIA), with most of that coming from the displacement of fossil fuels with renewable energy. Coal saw the more dramatic decline, with consumption decreasing by 18 percent, compared to 1 percent for natural gas. Use of renewable-energy sources increased 9 percent during the first six months of 2016, compared to the same period in 2015. Workhorse makes deals with BMW and UPS: Workhorse Group announced that BMW i has signed a multi-year supply agreement for BMW i3 range extender (REx) units for the Workhorse E-Gen electric delivery vehicle. The Workhorse E-Gen delivery vehicles are used by last mile delivery companies to fulfill their customers’ delivery needs, the company said. Workhorse also announced that it has received an order to produce 200 additional E-Gen hybrid electric delivery trucks for UPS’ alternative fuel and advanced technology fleet. Workhorse is also known for its FAA compliant unmanned aerial systems (UAS) delivery drones. Delivery is seeing a fast-changing environment, from packages to food. Delivery vans and small, high mileage cars (especially hybrids) are passing through a paradigm shift in who owns the vehicles and how they’re being used. While the U.S. won’t be switching over to delivery bikes and three-wheelers, commonly used in crowded Asian and European cities with narrow streets, competition for leadership in delivery services is getting fierce. Some of this drive is coming from Amazon and Google taking on UPS and FedEx. The U.S. Postal Service is undergoing its own change. On the food side, the classic pizza delivery model is being taken over by app-based alternatives like UberEats, Postmates, and GrubHub. Companies entering the space also point to the state of fast-growing cities squeezed with bigger buildings, more cars and pedestrians, and less parking spaces. Delivery companies need to have smaller, nimble, and quick vehicles to meet surging demand. Younger consumers are getting spoiled by services like Uber and Lyft, where you can tap your phone and have a car in front of your place in less than 10 minutes. Older generations are tapping into these convenient services as well, in this new age of the on-demand economy. Demand for quick delivery is driving change, along with the challenge of driving and parking in crowded city streets. Some of the carriers also support sustainability, removing vehicles from roads and switching over to alternative energy sources for their vehicles. UPS and FedEx have led the way here. Independent contractors delivering restaurant meals and fast food are preferring to drive a Toyota Prius or a small gas-engine car to keep costs contained. 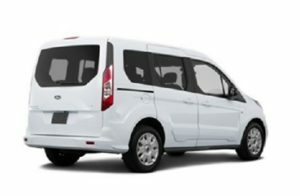 The Ford Transit Connect van (as shown in the photo above) has been a hot commodity for deliveries. The 2017 model has an EPA-estimated rating of 29 highway mpg when equipped with the available 1.6L EcoBoost I-4 engine. It has substantial storage capacity for such a small vehicle – with 103.0 cubic feet of storage capacity designed for easy maneuvering and parking on tight city streets. The Azure electric Transit Connect van left the market in 2012 and doesn’t appear to be coming back. The other increasingly popular model for urban deliveries has been Mercedes-Benz’s Sprinter utility van. The next-gen edition may get an all-electric powertrain, according to the Detroit Bureau. The automaker is designing the vehicles with both batteries and autonomous-driving features; these features will be available as soon as 2018, the publication reported. The federal postal service, which was originally created in 1775, took on another form in 1971 when it was transformed into the U.S. Postal Service as an agency of the U.S. government. Within that decade, rival carrier UPS would experience substantial growth in the U.S. and overseas and Federal Express had its first profitable years. A few years back, USPS was outsourcing a lot of its package delivery to UPS. That started to change recently, especially with the promotion of postmaster general Megan Brennan last year. Under Brennan, USPS has ramped up same-day delivery in order to compete with rivals FedEx, UPS, and Amazon for the growing share of packages with tight delivery schedules. During this time, USPS made a deal with Amazon.com to deliver groceries in selected cities for Amazon when the online retailer wasn’t able to meet that demand. Amazon is investing heavily to compete with UPS and FedEx in same-day deliveries. Amazon is trying out a few new services including Amazon Prime package deliveries and Amazon Fresh food delivery. Amazon Flex and Middle Mile Providers have recently started up in a few U.S. cities. If you ever see a white Ford Transit Connect with an Amazon logo, that van will be delivering goods through one of the new services. Dave Clark, senior vice president of worldwide operations and customer service for Amazon, commented on Amazon Flex at an industry conference last year. Amazon Flex is an app-based delivery platform that “enables people to be their own bosses while earning $25 or more an hour,” making Amazon Prime Now deliveries, he said. Drivers will use their own car and smartphone, similar to other popular delivery and ride-hailing services on the market. Amazon is usually promoting an offer for customers that includes free two-hour deliveries. The claim of paying drivers up to $25 an hour sounds quite optimistic, since drivers at other mobility services are typically making $10 to $15 an hour. With Middle Mile Providers, fleet owners with carrier licenses through the U.S. Department of Transportation will be able haul loads for Amazon. Drivers must be employees of the delivery provider and will likely be required to carry commercial driver’s licenses. They need to drive a cargo van or similar vehicle with at least 200 cubic feet of volume. It appears to be in startup phase with job openings listed in Seattle for a division called Middle Mile Logistics Technology. In June, Amazon launched a British version of its AmazonFresh food delivery service to break into the UK grocery market. AmazonFresh has previously been deployed in a few U.S. markets, too. UberEats is counting on the food delivery service being worth the investment. Started in test mode about two years ago, it became its own mobile app in the spring of this year. Uber launched food delivery in Chicago, Houston, Los Angeles, and San Francisco earlier this year. The initial launch was in Toronto; other growth markets include Atlanta, Austin, Dallas, Melbourne, New York, Paris, Seattle, and Washington, D.C. After trying it out as part of the Uber experience, the company realized that didn’t make sense, with both of these experiences being separate from each other; they needed their own brand names and separate mobile apps. Self-employed drivers are asked to gather in select parking lots for UberEats and pickup packaged orders for the day from partner food services. They’ll deliver lunch or dinner to workplaces or homes in the vicinity. That differs from other food delivery services where the driver will be picking up food orders directly from the vendors and delivering them to the customers. Food delivery has been taking off like a rocket trajectory over the past year in transactions. Making the business profitable and finding the right financial backing has been tough. Bloomberg reported a story last week about on-demand meal delivery service Caviar’s parent company trying to sell it off and find better partners in food delivery. Payment processing company Square reportedly tried to unload Caviar early this year. Square reportedly had discussions with Uber, Grubhub, and Yelp between late last year and the start of 2016, but disagreements on pricing ended the talks. With Square backing away, startup Caviar is in a tough position in a very competitive market. UK’s Deliveroo was funded about £250 million ($306 million) earlier this year, and Berlin-based Delivery Hero was rumored to be lining up an IPO, according to VentureBeat. In the U.S. GrubHub, DoorDash, and Postmates have grabbed a lot of attention; Uber and Lyft riders are known for tapping into these delivery services and tend to look for special discount promotions on meals. Private equity funds are coming in for these food delivery companies, but they haven’t been perceived yet as hot commodity investment opportunities like Uber has been able to win over. Postmates is working hard to be seen as unique in the marketplace – the only delivery service out there that will pick up orders from anywhere that the customer requests – a restaurant, donut shop, BevMo! liquor store, grocery store, 7-Eleven, or some other business. The business model for food delivery companies was borrowed from Uber and Lyft, with a similar mobile app; driving directions and alliances with Waze and Google Maps; it’s all right there on the phone for customers, from ordering to paying; there are special offers with local and chain restaurants, juice bars, coffeehouses, and fast food stores; and all the drivers are independent contractors passing basic vehicle and driving record checks. Google has been getting ready to take on Amazon Prime for a leading position in fast, on-demand deliveries and has backed away from food delivery. Brian Elliott, general manager of Google Express, told Business Insider that the company plans to spread its coverage from about 20 states and regions to the entire country by the end of the year. To get there, Google Express decided to close down part of its grocery business and stop selling perishables; these were pilot projects started earlier this year in parts of San Francisco and Los Angeles. Fast delivery is becoming more important for firms to retain their market presence. Amazon was getting a lot more searches and orders placed on a wide variety of products like bottled water and flat screen TVs. Google Express was a way for Google to reinstate itself as the go-to choice for product searches, and to make it easier for people to purchase the goods they’d searched for. 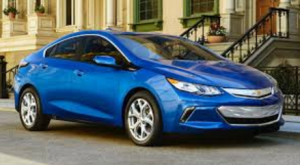 September sales: The Chevy Volt continues to be the best selling plug-in hybrid, by far, on the market with 2,031 units sold in the U.S. during September. At 16,326 Volts so far this year, there’s a thin chance it could catch up to 2013’s 23,094 units sold, if not also 2012’s 23,461. The Volt redesign seems to have taken off very well. The all-electric Nissan Leaf saw its first increase in year-over-year sales since December 2014. In September, there were 1,316 Leafs sold, a 5.5% improvement over September 2015. Tesla Motors just reported its third quarter deliveries, which were up 70% over the second quarter. Of the 25,185 units sold and delivered during the third quarter, 15,800 were Model S and 8,700 were Model X. For September sales, one estimate shows the Model S and Model X well ahead of the Chevy Volt and all other plug-ins sold in the U.S. Ticket to Mars: Elon Musk gave a speech last week topping the Gigafactory and Hyperloop announcements. As SpaceX chief, he spoke last week at the 67th annual International Astronautical Congress in Guadalajara, Mexico. Once the company’s Interplanetary Transport System is fully operational, he estimates that a person will be able to travel to Mars for about $200,000 – much cheaper than the $10 billion it would cost you to buy a rocket that you fly to the red planet. One hundred passengers will ride to Mars with 42 Raptor engines, carbon fiber fuel tanks, reusable rockets, and other features. Musk was making the pitch to gain financial backing from current client NASA and others attending the event. Uber and Otto: Self-driving truck startup Otto talked about its strategy now that ride-hailing giant Uber owns the new company. Uber plans to make Otto the leader in self-driving truck technologies in freight hauling. The ride-hailing company has started the process of selling services directly to shippers, trucks fleets, and independent truck drivers. Otto is expanding its fleet from six to 15 trucks, and is bringing in independent truckers to manage the trips. Those freight hauling trips will start next year with deliveries to warehouses and stores. Uber made the acquisition in August for an estimated $680 million. It ties into Uber’s strategy of developing self-driving car systems through its Pittsburgh test drive project. Lyft drivers getting Bolts: Lyft drivers will be the first to receive key fobs for their Chevy Bolt when it arrives at dealerships later this year. “Drivers on the Lyft platform will be receiving Bolts to drive first,” said Emily Castor, Lyft’s director of transportation. Castor spoke last week at the World Mobility Leadership Forum at Metro Airport in Detroit. Ride-hailing service Lyft links riders with about 315,000 contractor drivers in about 200 U.S. cities. General Motors and Lyft created the Express Drive rental program for Lyft drivers earlier this year after GM’s $500 million investment in the company. Express Drive offers Lyft drivers the opportunity to rent the GMC Terrain, Chevrolet Equinox, Malibu, Volt and, by the end of this year, the 2017 Bolt EV. First driver’s license for autonomous vehicle: Nevada last week granted the first autonomous vehicle-related driver’s license to Sam Schmidt, a former race car driver and The state granted Schmidt a license to drive a semi-autonomous test car on public roads under restricted conditions. Earlier this year, Schmidt drove more than 150 mph in the Arrow SAM Car during demonstration laps at the Indy 500. Arrow Electronics designed the SAM car for Schmidt in 2014, and they worked together to get the state to revise regulations allowing Schmidt to drive on roads in addition to race tracks. Schmidt used to be a race car driver, but lost his ability to drive years ago during a near-fatal speedway crash. Schmidt is able to control the car, a modified Corvette Z06, using his voice, head, and breath to steer, accelerate, and brake. USPS test project: The U.S. Postal Service has identified six “prime suppliers” that will be producing 50 prototype vehicles from which a Next Generation Delivery Vehicle (NGDV) will be chosen. The companies are: AM General, Mahindra, Oshkosh, Utilimaster, VT Hackney, and Karsan. The new prime suppliers’ contracts total $37.4 million in business. It may lead to an electric or hybrid design, according to recent reports and USPS. DMV supports fully autonomous: The California Department of Motor Vehicles revised its recommended policy on fully autonomous vehicles. While the agency had supported having steering wheels and pedals in autonomous vehicles for drivers to take over in case emergency conditions came up, that policy recommendation has changed. DMV revised draft regulations that the most advanced self-driving cars would no longer be required to have a licensed driver if federal officials deem them safe enough. Report on mobility services: Navigant Research released a report examining trends associated with emerging mobility services most likely to influence the future transportation market, including automated systems and shared vehicle services. A nexus of trends related to emerging mobility services is converging to influence the future transportation market: autonomous vehicles, the consumer shift, multimodal integration solutions, and urban versus rural/suburban population distribution. From parking habits to the number of vehicles in operation, these trends and related factors will have far ranging effects on the transportation landscape, according to Navigant Research. Testing e-trikes: UPS is testing electric-assist cargo tricycles and several other clean transportation and alternative fuel options in various scenarios around the world as part of a “rolling laboratory” project. The company is looking to resolve a serious challenge: how to keep up with the boom in e-commerce while at the same time reducing its impact on the environment. The e-trikes have a range of 21 miles and a top speed of 15 miles per hour and ample cargo capacity, They’re ideal for narrow European streets, but UPS customers in Portland, Ore., will soon see drivers pedaling around their neighborhoods in a similar model. As previewed last week, the Paris Motor Show has gone through a do-over – what was once the hallmark auto show for high-performance luxury and sports supercars (with many of them powered by diesel engines) is now shifting over to electric cars as the stars of the show. 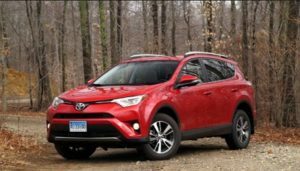 Crossover utility vehicles with battery power is another trend noticed by observers. Paris Motor Show 2016 has also been marked by the disappearance of several automakers deciding to cut expenses through attending less auto shows and marketing through other channels such as social media. Paris has been the largest auto show in the world, with 1.25 million attending in 2014. Those attending this year are expected to be disappointed by several brands disappearing: Ford, Mazda, Volvo, Cadillac, Rolls-Royce, Aston Martin, Maserati, McLaren, Genesis, Lamborghini, Bentley, Bugatti, and others are skipping the show altogether. Along with the diesel emissions reporting scandal, the impact of Tesla’s presence in the European market (and the hype and pre-orders for the Model 3) has been stirring up European automakers on the electrification front. Stricter emissions targets in Europe, the U.S., and China, are behind the EV launch as well; falling battery costs with more energy storage capacity is also playing its part. EQ electric brand launched: Daimler previewed its new EQ electric car brand through the Generation EQ concept, which is an electric small crossover utility vehicle. The EQ brand unveiling is the first step in launching 10 new battery-electric models by 2025 in Daimler’s strategy to become the global leader in electric vehicle technology; it appears to serve as a sub-brand of Daimler’s Mercedes-Benz division. Daimler expects electric cars to account for 15 to 25 percent of its global sales by 2025, CEO Dieter Zetsche said at the auto show. The German automaker’s chief confirmed what has been rumored lately – that the new electric cars will be launched under the EQ brands. 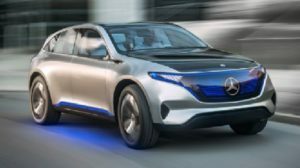 Daimler said that the Generation EQ will have a range up to 500 kilometers (311 miles), which is probably based on Europe’s NEDC standards; that will be lower in U.S. mileage range under EPA measures. The concept car is being moving closer to production, and is being built on an architecture developed specifically for all-electric models. 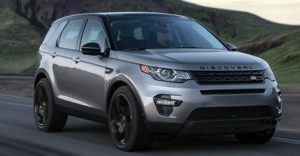 That architecture is adaptable for crossovers, SUVs, sedans, coupes, and other model series, the company said. Volkswagen I.D. concept: Volkswagen’s chairman, Herbert Diess, was on the stage to unveil the new concept, called I.D., at the show. The Volkswagen I.D. will be rear-motored and rear-wheel-drive, much like the original Beetle, an interesting point that the automaker has emphasized in its press releases. It will be the first new model built on the automaker’s MEB modular electric platform. Its battery in-flat-floor architecture is built within a futuristic exterior design with a glass roof, artistic wheel covers, digital headlamps, and sliding rear doors. It’s expected to hit production level in 2019 for purchase starting in 2020. It’s part of the automaker’s Strategy 25, where the company will be building up to one million EVs by the middle of the next decade. Last week, the automaker announced it will be expanding sales of its e-Golf nationwide in the U.S., beyond a few select states. However, VW also revealed in Paris that the I.D. will eventually replace the e-Golf (but not the Golf). Porsche Panamera plug-in: VW’s Porsche brand unveiled its Panamera 4 E-Hybrid plug-in hybrid electric vehicle at the Paris Motor Show. 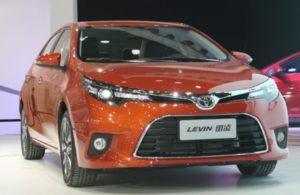 The large luxury hatchback will have a range of 31 miles and top battery-powered speed of 86 mph. 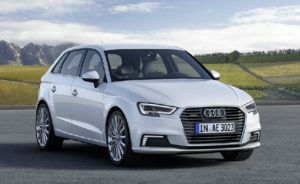 The company says that the car generates some 340 kW of system power and delivers fuel consumption figures of 2.5 l/100 km in the European NEDC cycle for plug-in hybrid models. That corresponds to CO2 emissions of 56 g/km. “At Porsche, the term ‘hybrid’ is synonymous with not only sustainable mobility, but performance too – a fact proven not least by the victory of the 919 Hybrid in the 24 Hours of Le Mans race in 2015 and 2016,” the company said in its press release. 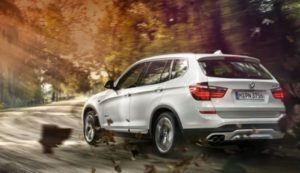 BMW X3 and new Mini: BMW said on Friday it will offer all electric versions of its next generation BMW X3 compact sport utility vehicle and electric Mini models. The electric Mini is expected to debut in about three years, company officials said. BMW had played a leading role in luxury plug-ins, but slow sales for the i3 and i8 have put plans back on the drawing board. BMW is also showing the new electric i3 and i8 Protonic Dark Silver special edition model. The German automaker said it will begin production of the BMW i8 Protonic models in December and in early 2017, but it will be in limited production; that’s similar to what happened with its previous Protonic Red Edition. BMW is also showing its new 3 Series Gran Turismo four-door, a C evolution e-scooter, and the X2 Concept SUV that is expected to go into full production late next year. The company chose to have its executive leadership stay in Germany to debate the future of its electric vehicle strategy. Renault Zoe in 200-mile range: During the show, Renault confirmed that the next-generation Zoe all-electric car will come with a 41 kWh battery rated at 400 kilometers (248 miles) on the European NEDC cycle. The company acknowledged that the actual range per charge will vary, from around 186 to 200 miles per charge depending on how and where the electric car is driven. Chevrolet and Tesla have been getting all the attention for the upcoming Chevy Bolt (with 238 miles) and the 200-plus mile Tesla Model 3. Renault may have already crossed the barrier, and is now taking orders in Europe for delivery – and will be ahead of sister company Nissan’s Leaf reaching that range anytime soon. It beats the Bolt and Model 3 in cost, with a starting price of $24,500 before incentives. Citroen CXPerience: French automaker Citroen is showing the plug-in hybrid CXperience concept car. It’s a low-to-the-ground sedan with rear suicide doors and a short rear deck. It combines a front-mounted gasoline engine with an electric motor, and an eight-speed automatic gearbox. The company claims that the battery range is 37 miles. The five-door hatchback was presented online a month ago, and may be the foundation for future Citroen plug-in models. Mitsubishi GT-PHEV concept: Mitsubishi will introduce a few hybrid and all-electric vehicles, including a plug-in hybrid SUV concept vehicle. The GT-PHEV SUV has been designed around the automaker’s next-generation plug-in hybrid system. The system uses three electric motors and an internal combustion engine designed specifically for hybrid applications. 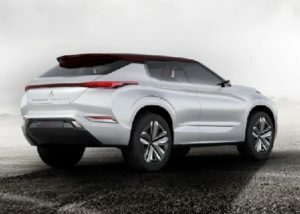 Mitsubishi’s Executive Vice President of Overseas Operations, Kozo Shiraji, introduced the GT-PHEV concept (which stands for Ground Tourer Plug-In Hybrid Electric Vehicle) as the “possible form for a future large SUV.” The company said that the driving range for its next plug-in vehicle promises to expand on the current Mitsubishi Outlander PHEV’s range. The Outlander PHEV is a strong selling plug-in vehicle in the European market. Smart electric cars: The Smart ForTwo has a next-generation platform that will be extended over to the Cabrio and Smart ForFour models for a 2017 launch. Smart says it will be the only automaker to offer its entire lineup with both gasoline engines and all-electric versions. The Smart electric cars will compete with the Renault Zoe and Volkswagen e-Up. Smart says its electric cars will go 100 miles on a charge, and take around 45 minutes to recharge from a fast charger. LaFerrari Aperta: Ferrari will be attending to represent classic, high-performance luxury brands. Ferrari will show the LaFerrari Aperta (aptera translates to “open” from Italian), which is an open-top version of the $1.1 million, limited-edition LaFerrari hybrid. Ferrari said that the entire production line has already been sold out, for an undisclosed price. Ferrari also unveiled the supercar grabbing most of the attention at the show – the GTC4Lusso T, a rear-wheel-drive, turbocharged V8 version of Ferrari’s rather all-wheel drive V12-engined grand tourer. VW mobility brand: Volkswagen AG announced prior to the show that it has established a new subsidiary to handle carsharing and logistics, which is yet to be named. The so-called 13th brand in the VW family will be based in Berlin, according to VW CEO Matthias Muller. According to the chief of the new brand, Ole Harms, it will focus on on-demand mobility, with the help of Moscow’s number one ride hailing app, Gett, in which VW recently invested $300 million. VW’s recent partnership with the city of Hamburg may be the best market to introduce the service; and Gett’s presence in New York make it a likely market for the new VW service to expand to. European cities will be more of a priority for now. “Our new group brand is to rank among the leading mobility services providers and become the market leader in Europe by 2025,” Muller said.